The first of our winter town races took place on Tuesday in good conditions. There was a cool breeze but it was dry and good underfoot conditions (no ice). First home was Jack Johnstone who pushed ahead in the last mile to secure his first victory in the series. First lady home was Louise Hopper. Gretna Town Run Tuesday 11th December - dry , mild 8c. 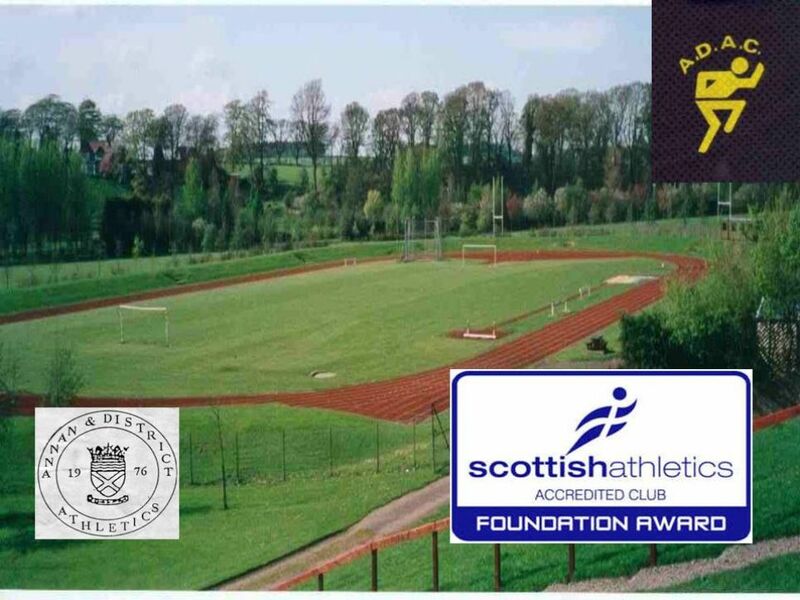 On another mild and dry evening runners tackled the 3.8mile course to Springfield and back (avoiding the M74) and first home again was the ever improving Jack Johnstone who pipped dad for the top spot. Behind Norman was Andy Robb showing some fine form at present. Marie Marshall equalled Andy's time and was the first lady home followed by the trio of Linda Cameron , Nicola Kennedy and Louise Hopper who crossed the line together. Many thanks to Barry for time keeping. Dates for the final town runs will be posted soon. The weather turned cold for this town run and there was a little doubt whether or not the run would go ahead but a course for fear for ice ! A course inspection confirmed that we would manage the run - just ! First home again was the unstoppable Jack Johnstone who looks in fine form after recent shin splint trouble. First lady home was Marie Marshall posting a fast time. It was great to see Heather back with us for a walk round the course. Many thanks to Barry for time keeping on a bitter cold evening. Results are below. Well done everyone ! After such a dry winter our Seniors enjoyed a rare treat tonight - RAIN ! This did not stop our hardy seniors who made light work of the course which was set up and organised by Gordon Vivers. First home on the night was Jack Johnstone just pipping his dad and the first lady home was Marie Marshall. many thanks to all for turning up on such a wet evening. 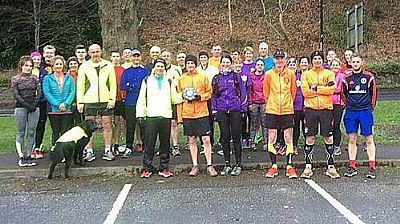 The last of our Winter town runs was held over in the Muckle Toon along. ADAC locked horns against the Muckle Toon Joggers and Sloggers in a challenge race which was decided by the first three male and female runners counting towards the Pothom Challenge shield. ADAC runners battled well in the cold , drizzly conditions and first home for the club was jack Johnstone again showing his improvement. First lady home was again Marie Marshall who looked very fresh. The shield was won by the Sloggers and Joggers but ADAC will return next year to battle again. Many thanks to all those who took part. Well done to all ADAC runners and guests. Results are below. First home was Alex Jarzyna of the Sloggers in a super time of 32:29 and first lady home was Marie Marshall in 37:17.